Henry Repeating Arms’ U.S. Survival AR-7 rifle is a modern take on the historic AR-7 developed by ArmaLite in the 1950’s for the American Air Force. 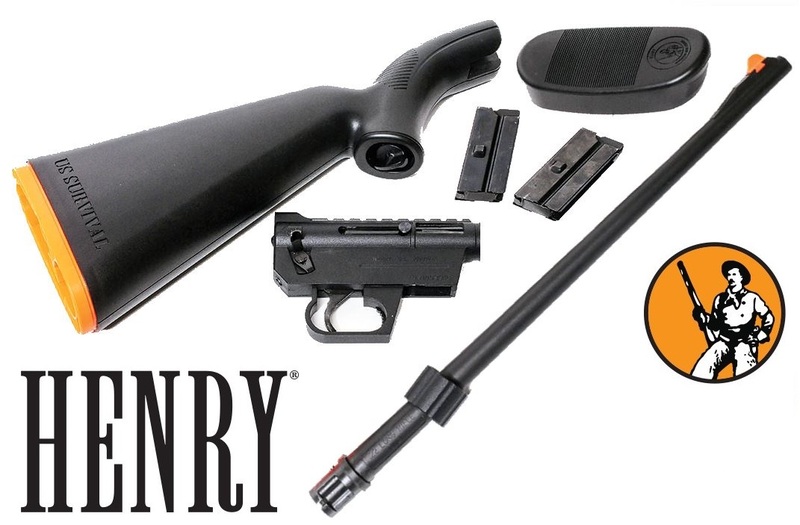 Even though Henry is best-known for their lever-action firearms, they obtained the production and design rights and have been producing the AR-7 for around 20 years. Today, the .22 rifle is a huge hit among survivalists, hunters, bush pilots, and backpackers. Henry has a great reputation for reliable, accurate firearms; therefore, it should come as no surprise that they transformed this rifle into a modern marvel. 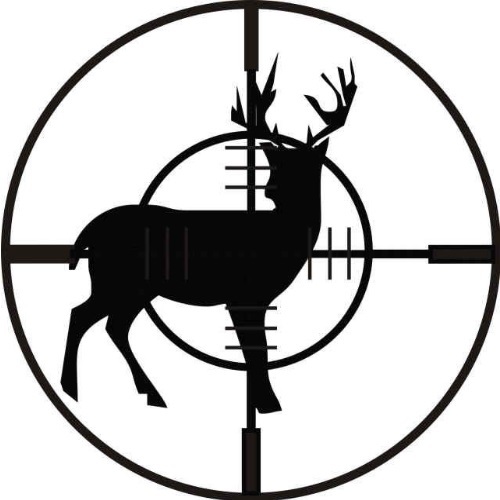 Because of my background, I know countless hunters and survival guys, many of whom own this gun. In order to understand why so many folks rely on this rifle, let’s take a closer look at it. Just about everything you need to know about the Henry U.S. Survival AR-7 lies in its construction. While it may look like your run-of-the-mill Plinkster, its highly portable design makes it the ideal survival weapon. In less than two minutes, you can take apart the 35” weapon, stow the components into the stock, and you’ll be left with a super lightweight (3.5 lbs.) and compact (<17”) frame. One of the biggest advantages of this ability is that you can easily carry and even conceal your firearm in a backpack, suitcase, or car. In order to boost its survival proficiency, Henry updated the AR-7 with a water-resistant Teflon coating and a thermoplastic polymer stock. 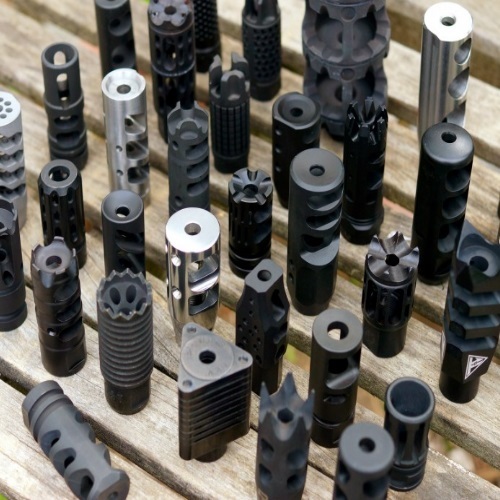 To keep it lightweight without forfeiting much toughness, the Teflon-coated steel barrel features an outer layer made from the same ABS polymer as the stock. Moving on to the AR-7’s sight system – I liked that the rear peep sight is adjustable for elevation, but the windage adjusting on the front sight is not so dependable. That being said, I gotta give Henry props for throwing on an orange front sight on this gun; it definitely offers high visibility, despite the fact that it kinda makes the gun look like a toy. One of the most puzzling features on this .22 is the integrated Weaver accessory rail milled into the receiver for attaching all types of optics. The whole purpose of this survival gun is that it can be disassembled and packed into the stock; if you have an attachment on there, then what the hell are you supposed to do with that? I’m happy that they give you the option – especially because it doesn’t hurt to have a rail – I just can’t figure out why anybody would use it. As you’d expect from any .22LR plinking rifle, the Henry U.S. Survival AR-7 has almost no kickback. Its lightweight design is complemented by the comfortable grip and rubber buttplate pad. One of the best things about this gun is its consistency; considering that it was developed as a survival weapon, there’s not much more you could ask for. I really enjoyed shooting the gun and with the cheap ammo, it’s sure to bring you countless hours of entertainment. In addition to defense and target shooting, the AR-7 can actually make a solid small game hunting rifle. Nevertheless, you’re gonna want to be within around 30 yards of your target. Henry Repeating Arms ships every AR-7 rifle with two 8-round magazines – Both of which fit inside the stock. I’ve been shooting .22LR for as long as I can remember and I’ve come to love it. It’s no coincidence that Henry chose this cartridge for their survival rifle. .22 ammunition is the perfect survivalist’s cartridge because it’s inexpensive and you can carry loads of extra rounds without adding much weight. Like I mentioned earlier, I don’t know why anybody would bother utilizing the accessory rail on the AR-7, but if you insist, I do have one recommendation for you. 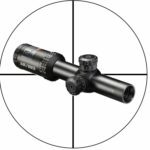 You want a light and simple scope so go for the reliable Bushnell 1-4x24mm. I also wouldn’t be averse to seeing someone attaching the Aimpoint CompM2 red dot reflex sight. A friend of mine recently tried to convince me that the Ruger 10/22 is a better survival weapon than the Henry AR-7. Although I thought he was joking at first, he would eventually come to agree with me. I like the Ruger, I really do, but it lacks some key features. While the 10/22 is a takedown rifle, meaning it can be disassembled and put back together in seconds, it just doesn’t compare to the Henry rifle. The AR-7’s ability to stow its components in the stock makes it the clear winner. That being said, there are some great things about the Ruger. Besides for being a much sexier firearm, it’s also more ergonomic, durable, and comes with a sweet detachable 10-round rotary magazine. 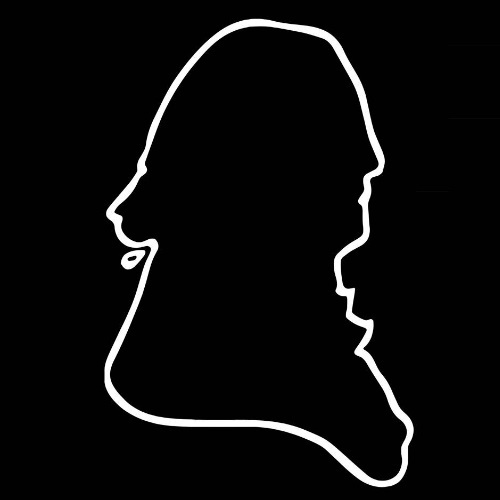 The Henry U.S. Survival AR-7 rifle is as versatile a rifle as they come, but I just don’t think it’s my choice for a survival weapon. Not because there’s necessarily anything wrong with it, but I think I’d prefer a handgun. Yet, I gotta hand it to Henry for creating one of the most impressive .22LR survival weapons on the market. If this versatile .22 interested you, be sure to check out the Browning SA-22 and the Mossberg 22LR Rifle Series!